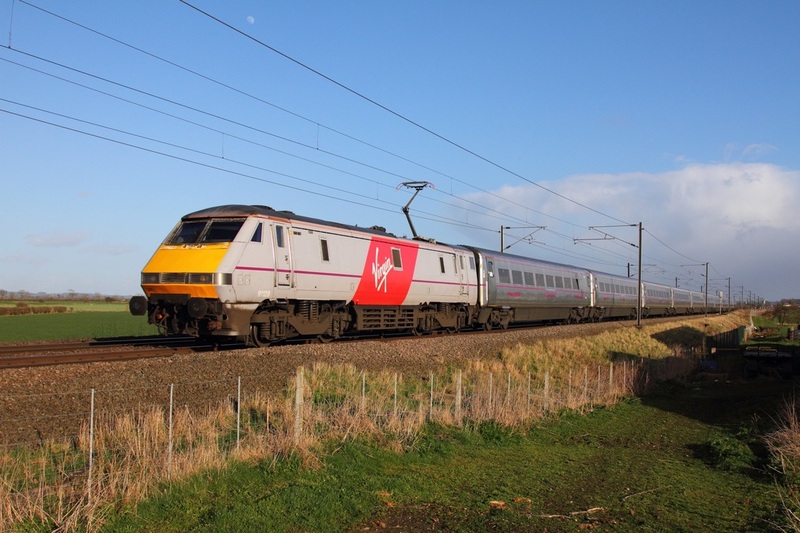 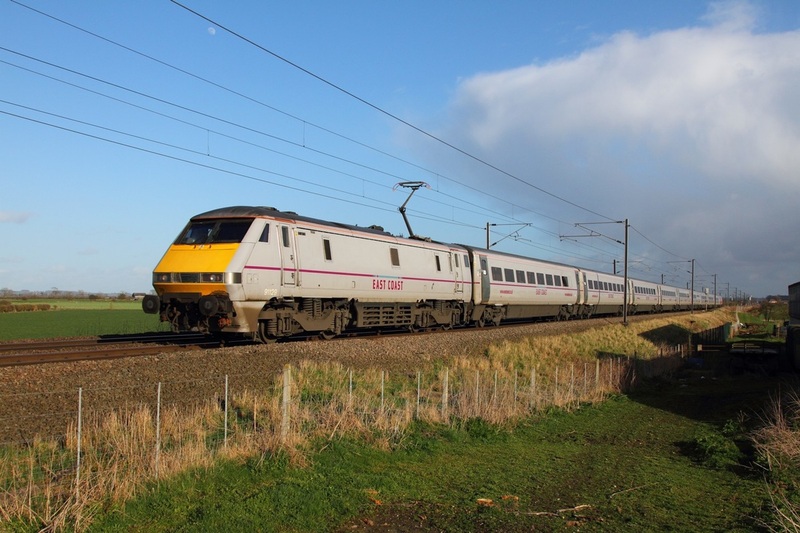 91129 on the 1S25 1630 London Kings Cross to Edinburgh at Claypole on the 31st March 2015. 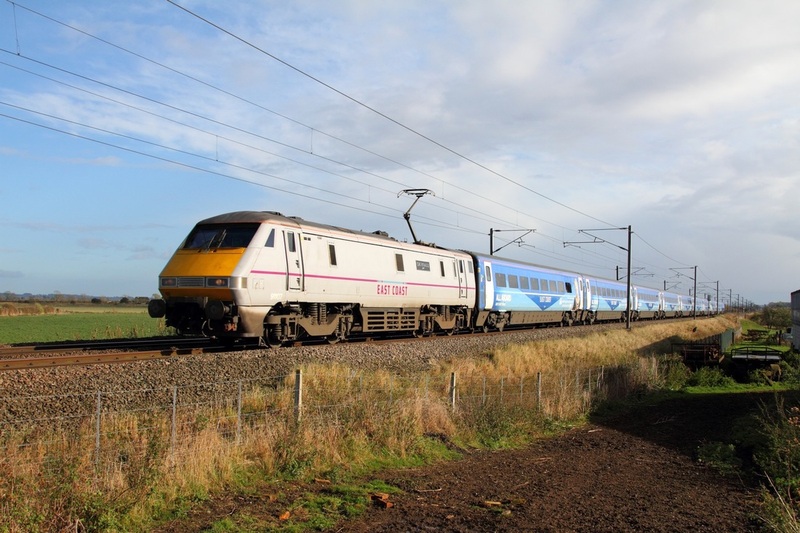 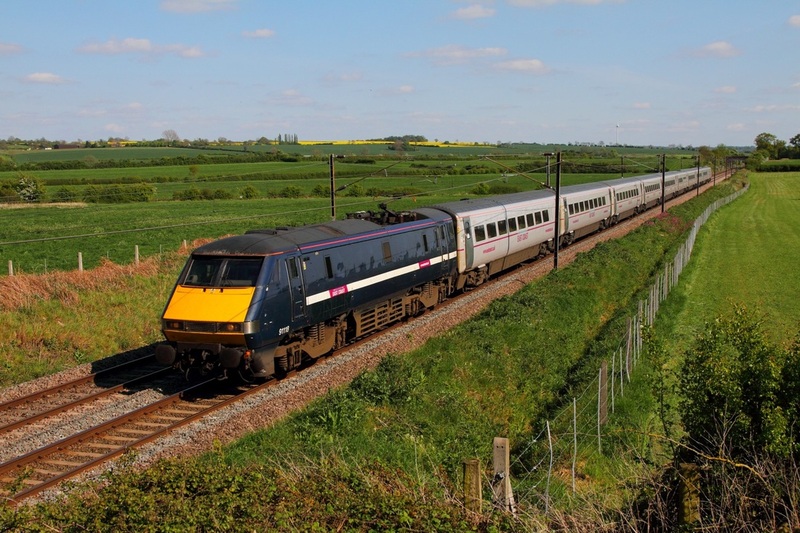 The last remaining Class '91' in the former GNER blue livery, 91118 works the 1S22 London Kings Cross to Edinburgh at Hougham on the 3rd May 2014. 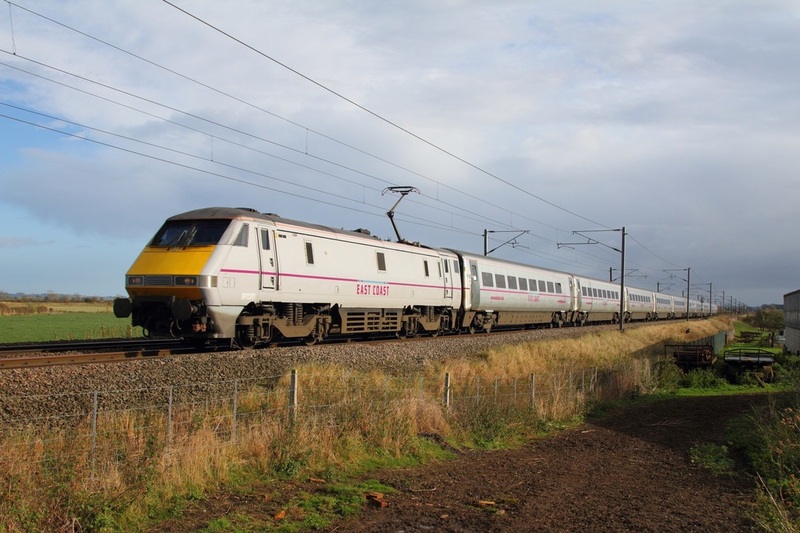 91107 on the 1D16 1335 London Kings Cross to Leeds at Claypole on the 21st October 2014. 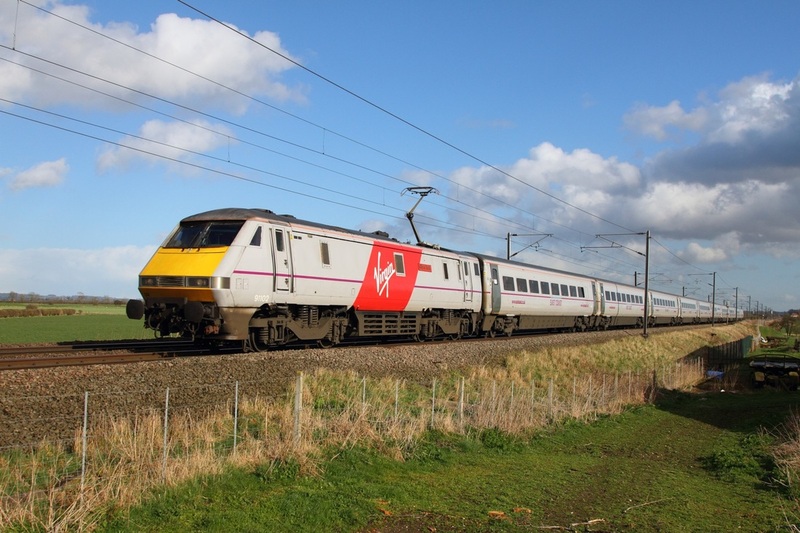 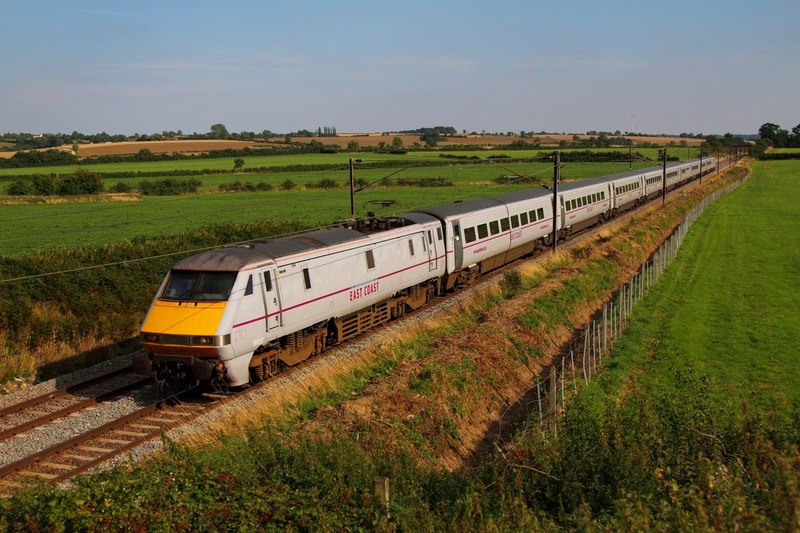 91120 on the 1N19 1330 Kings Cross to Newcastle at Claypole on the 21st October 2014.